Handyman Unlimited has serviced thousands of clients over the years and has a strong presence in the southern California marketplace. 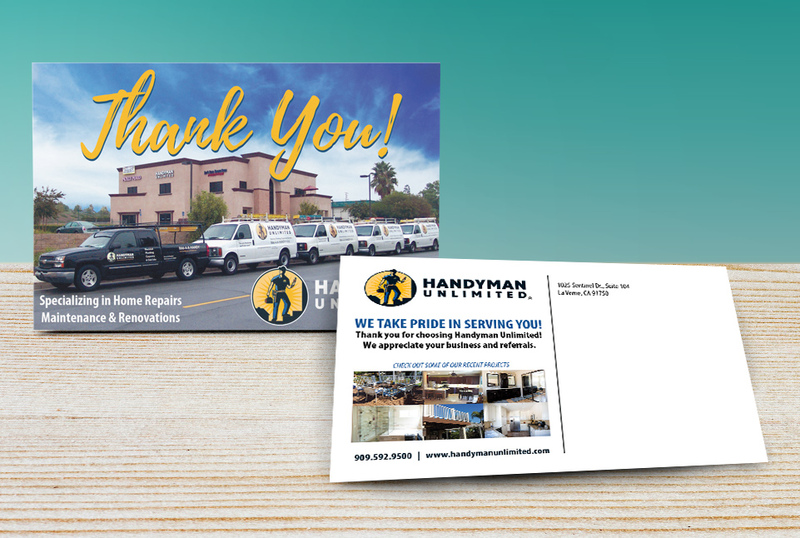 We have created multiple print projects for them including their tri-fold, thank you cards, banners, business cards and more. 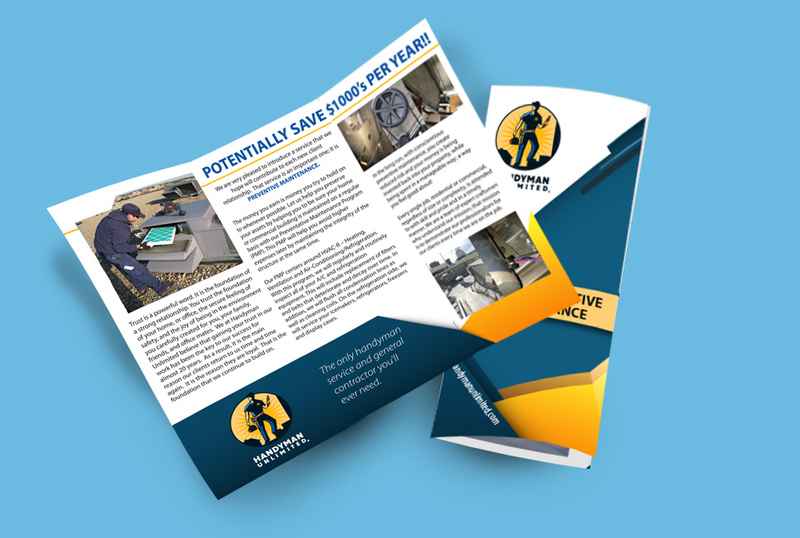 Handyman Unlimited has also used our marketing consulting services to help strengthen their overall marketing strategy as well.